Though it’s not expected to make it to the governor’s desk for a signature this year, those supporting House Bill 17-1327 “Repeal Columbus Day As State Legal Holiday” left the State House elated, not only that the bill passed 6-3, but that the conversation continued for another year. 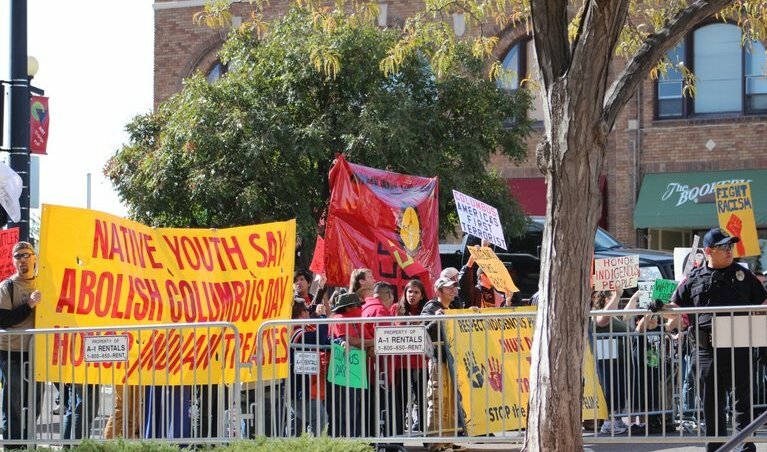 Abolish Columbus Day protest in Denver in 2011. Columbus Day is one of ten legal holidays in Colorado. While the bill seeks to repeal Columbus Day as a legal holiday, state employees would be offered a floating holiday in October pending an approval date of the employee’s supervisor. Several states have removed Columbus Day as a paid holiday for state employees including California and Texas. Alaska, Oregon, South Dakota, and Vermont do not recognize Columbus Day. 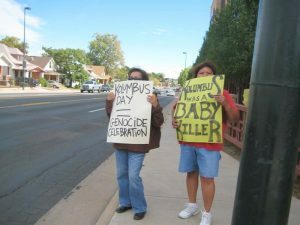 Berkeley, Minneapolis, Seattle, Cambridge, Phoenix and locally Denver and Boulder have adopted Indigenous Peoples’ Day. 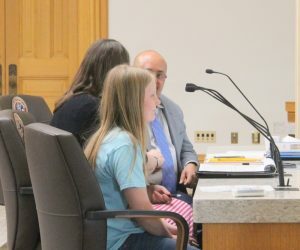 Voting in support of the repeal were Representatives Adrienne Benavidez, Mike Foote, Edie Hooton, Jovan Melton, Susan Lontine, and Paul Weissman. Voting against were Representatives Stephen Humphrey, Timothy Leonard, and Dave Williams. This entry was posted in about us and tagged columbus day, joe salazar. Bookmark the permalink.